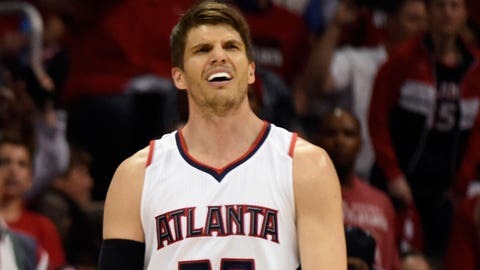 Is Kyle Korver's offensive dominance actually a problem for Atlanta? With the 2015-16 NBA regular season right around the corner, teams are finalizing their initial scouting reports for opponents. And it's always a fascinating exercise to see how the people who watch these teams for a living view the league's 30 franchises. For the Hawks, it's a mixed bag, according to scouts who spoke to Sports Illustrated. On the one hand, one scout “likes the Hawks” but “loves” Mike Budenholzer, who has helped make Atlanta “the most unselfish team in the league.” Other teams want to play like the Hawks, the scout told SI, but they can't, because they don't have the system or the players who make it work. It's a pretty common refrain: Jump-shooting teams can't win in the playoffs. Of course, the Golden State Warriors just shattered that cliche en route to the 2015 NBA title. The teams that fall short, such as the Hawks, however, have to live with that trope looming over their heads.